Happy Halloween! 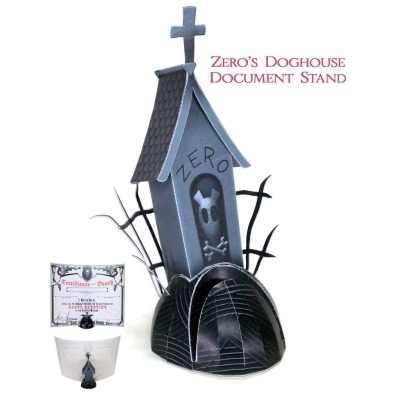 This past Friday the 13th, The Disney Experience released a paper model of Zero's doghouse. Zero, of course, is the ghostly dog from the Disney stop-motion animation film, The Nightmare Before Christmas. Quite appropriately, Zero's house is a tombstone. As a bonus, the model also functions as a document stand. 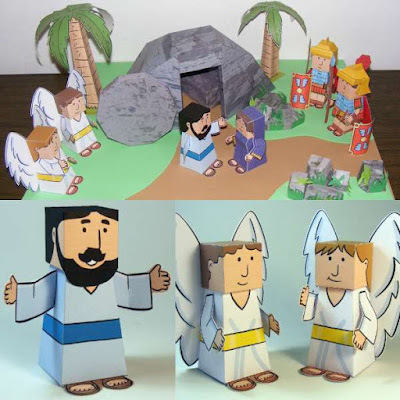 The printable PDF for this papercraft may be downloaded here. For many years, Canon Creative Park has been the go-to place for free high quality paper models. This teddy bear is one of their more impressive Halloween projects. 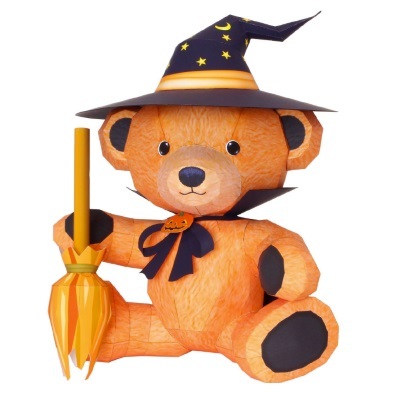 It is one of several teddies that artist Katsuyuki Shiga has created for Canon. The PDF template for the bear may be downloaded here. This excellent origami owl was folded by Flickr member "Origamidoc" from a 19.7" x 19.7" (50 cm x 50 cm) square of paper. The specific type of owl it is intended to represent is the Blakiston's fish owl, which is the largest species of the bird. 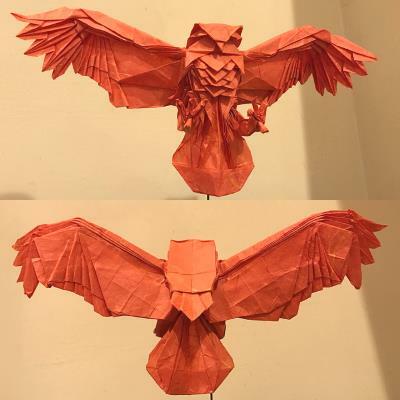 An excellent video tutorial on how to fold the owl may be found here. The original origami design is by Katsuta Kyohei. Here's another papercraft from that delightfully creepy website, RavensBlight. 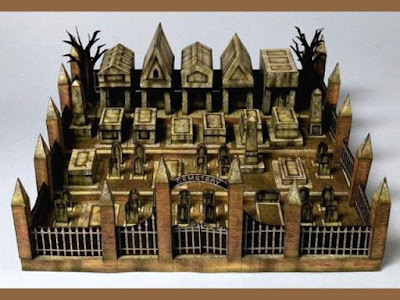 This cemetery is part of a collection of paper models of haunted buildings and such. Pieces from the collection work well for miniature gaming or Halloween decorations. The free template for the cemetery may be downloaded here. 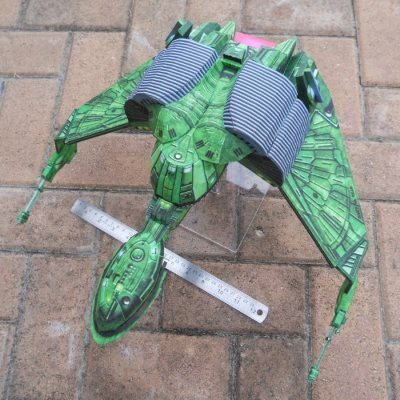 This Klingon Bird of Prey paper model is more specifically a B'rel Class light warship. If I am not mistaken, it is the same type of ship that appears in the 1986 movie Star Trek IV: The Voyage Home. There are two sizes of the model available: the size pictured in the photo and a smaller version that is 1:1000 scale. Templates for both models may be downloaded at Clever PaperModel. I had never heard of the DotA 2 video game before I discovered the Kang Paper blog, but the 3D models in the game make for some awesome papercraft! DotA 2 is a free online multiplayer battle arena game that evolved from Warcraft III. 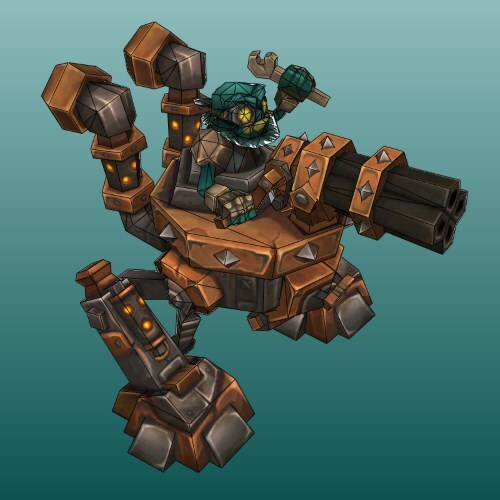 Pictured here is a paper model likeness of a Mecha Goblin, one of the many characters in game. The template for this model may be download here.